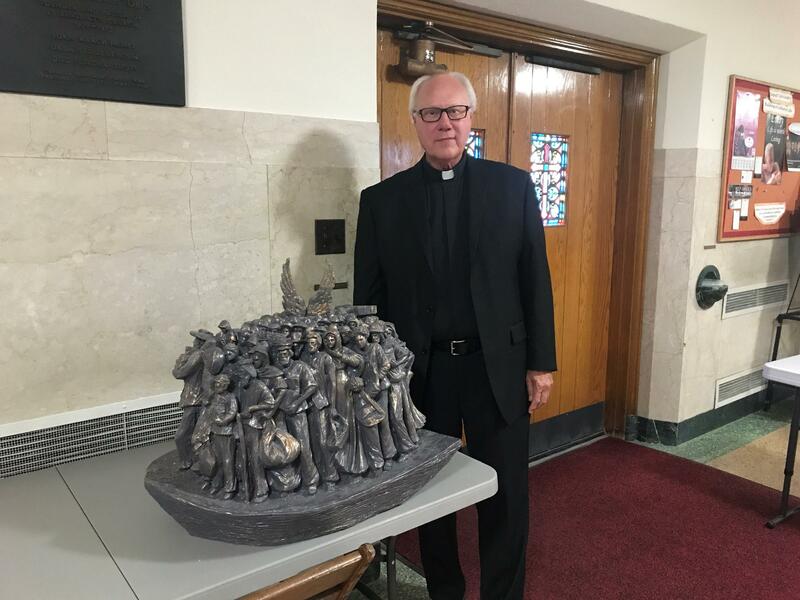 St. Benedict’s church, at the corner of Main Street and Eggert Road, will receive a statue next year from world-famous Canadian sculptor Tim Schmalz that depicts 140 immigrants and refugees on a boat from various cultures and time periods. St. Benedict’s pastor Father Robert Mock says he hopes the artwork, called "Angels Unaware," grabs the attention of passers-by and will raise awareness about the plight faced by immigrants and refugees. “I know there are political issues about refugees and migrants, I am aware of that but to quote Martin Luther King Jr., there’s always a right time to do the right thing, and I think we’re doing the right thing at the right time, even though I anticipate that not everyone is going to be pleased with our decision,” said Father Mock. Mock notes the church's founding pastor, Monsignor William Tobin, was an immigrant from Ireland and the parish recently helped two refugee families in the resettlement process. 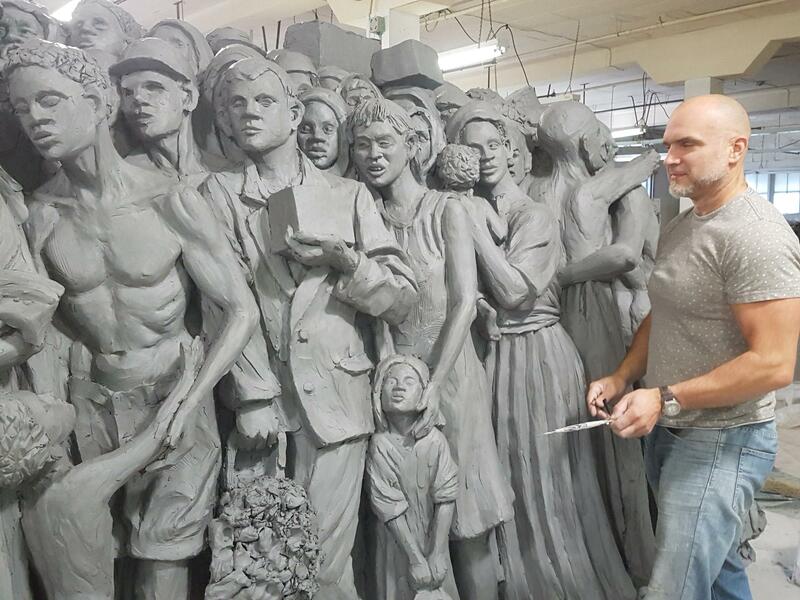 Sculptor Tim Schmalz says he wants viewers of his work to think about how immigration affects everyone. Father Robert Mock with a miniature sculpture that Pope Francis blessed in Rome. Schmalz says Buffalo was a fitting destination for sculpture because of the city's history. "I know that the city was built by immigrants and it kind of shows kind of respect to those grandchildren, great grandchildren whose ancestors came from a different place," he said. The church's sculpture will be one of two in the world. The other will be at Saint Paul Outside the Walls in Rome, where it will blessed by Pope Francis. Schmalz says additional identical works are planned for other major cities around the world. St. Benedict's is accepting donations to help pay for the sculpture, which is expected to be unveiled in the spring of 2019.